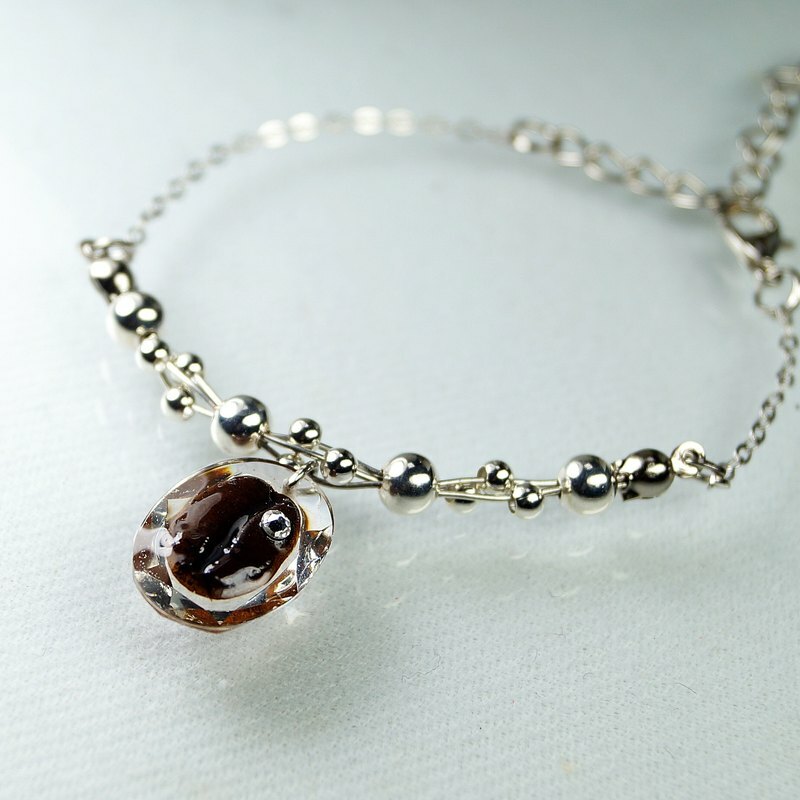 Stars Coffee Bracelet https://cdn02.pinkoi.com/product/18d14ZKG/1/500x0.jpg Natural coffee bean with SWAROVSKI crystal. Make the accessories become so special and attracted to everyone. I love coffee, and I hope you and your friends will enjoy my coffee design too. https://cdn02.pinkoi.com/product/18d14ZKG/2/500x0.jpg Coffee Pendant Size (with clear resin): 0.71" x 0.51" approx. (1.8 cm x 1.3 cm approx.) Bracelet Length: Stainless Steel chain with lobster clasp. Please kindly measure your bracelet length want for me. Materials: Natural coffee bean, SWAROVSKI crystal (optional), clear resin, stainless steel bracelet (hypoallergenic), hardware accessories (Each coffee bean is unique and different from others, because these are all natural coffee beans.) ♥♥♥ Each item comes packaged, as a gift for yourself, friend or for someone you love. ♥♥♥ This is a customized and "made-to-order" product. Production starts following payment and requires 3~5 working days with holidays excluded. ♥♥♥ After shipping, normally it will take 7-21 business days to arrive your country. The shipping time depends on the national post office system.